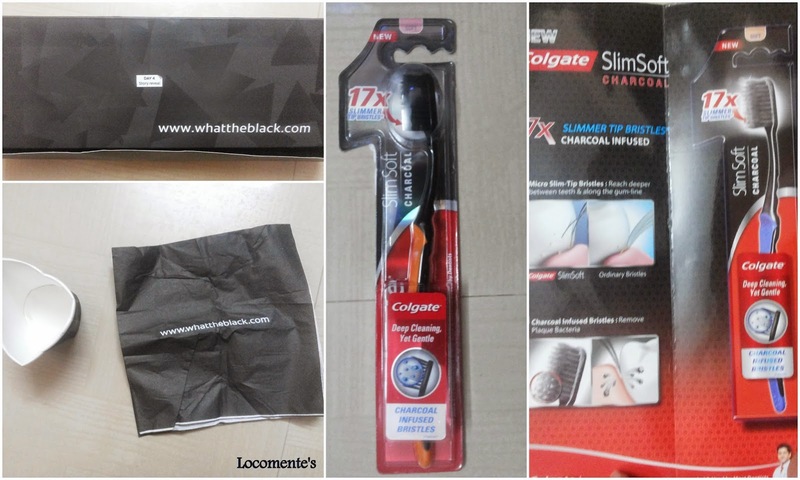 locomente...: #WhatTheBlack Day 3 & 4 - Mystery Unraveled! #WhatTheBlack Day 3 & 4 - Mystery Unraveled! This is really interesting, isn’t it? A black bristled tooth brush!!! That was WhatTHeBlack was all about. Eat chocolate… brush your tooth! Read newspapers with a cup of coffee… but after brushing paper! And, you can carry water to gargle in the black plastic cup and also wipe using the black tissue. PS: I received the clues for day 3 and 4 in one go. Therefore, consolidating the same. Black also has its uniqueness.Nice.